Comments on how to add to this or improve? Will add more cities. I was thinking this could also function as a mid/low rise thread. 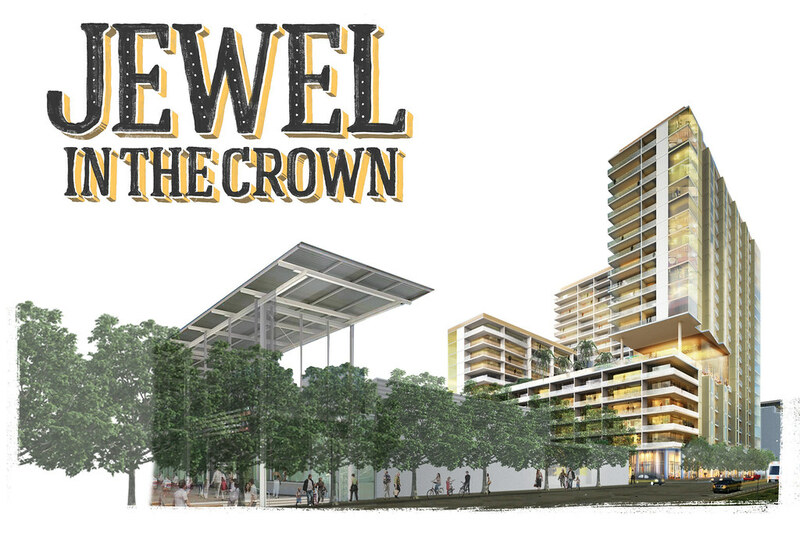 With a title for the city, project name, rendering, and short but to the point info. Only for all cities in Texas. 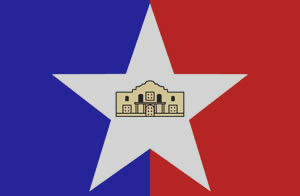 Almost like an encyclopedia for Texas Cities. Similar to the NYC mid/low and high rise thread, only for Texan cities. Where this will differ is that this is a reference / encyclopedia on projects. A continuously updated reference and list of projects for each city. Last edited by chris08876; Mar 24, 2017 at 10:27 PM. Wow! Nice work. This a fantastic layout to focus in on an area or city. Hmm sounds like a good idea to combine certain parts. Yeah I was thinking places like Plano too or even Corpus Chritie. Essentially, very similar to the NYC mid/low and high rise where it strictly focuses on projects (1 post per project with info on it) and construction updates. Differing from the conventional threads where its news on projects, but also discussion/analysis on it. This would be encyclopedia style. Comments welcome, but more emphasis on the projects. This way every city is covered. Even cities which aren't really focused on like Corpus Christie or some far flung suburb. Even if its a small town, the layout above allows for that. But yeah, to the Texas members, feel free to add to this project encyclopedia. Also, yeah, general developments, low to mid and highrises/skyscrapers are welcome. Any development essentially. A) Added Plano and Austin threads (u/c and proposed); all with working links. B) Thanks SLO for the suggestions. Anything going on in San Antonio? I don't see them on here much. With the way they're growing, I'd figure they'd be more active in the market. In favor! Efficient way to see what's going on in the state. With Plano being a suburb of Dallas, Forth Worth too should have more exposure. There may be more for Austin hiding under the Texas/South Central section. Last edited by Urbannizer; Aug 16, 2015 at 6:33 PM. Yup will add it soon. For now I want to set up the links and get a general directory going and then I'll start to add projects and so on. Very similar to the NYC Directory. Same style essentially and will use the layout/post style in post #3. Thanks Urbannizer. Will add it promptly. Also to any Texas mods or Admins, if threads get moved feel free to drop a message. Or anybody really. Keeps the first post accurate. Usually I notice if threads move, but sometimes the move icon goes away and I may miss it. Nice idea about creating a compilation, however some corrections need to me made. In Dallas, The Ascent is already under construction. In Plano, One Legacy West is under construction. You're spelling Corpus Christi like your governor's last name. Great idea for a thread and excellent execution! Also added San Antonio section. Great thread. This will help alot in knowing which projects have their thread already and which do. Just days ago I was about to add Parkland Memorial Hospital until I finally found it under General Developments. Good Idea Chris. Last edited by dollaztx; Aug 16, 2015 at 6:20 PM. Added a few in from the Austin subforum. Last edited by Urbannizer; Aug 16, 2015 at 6:50 PM. 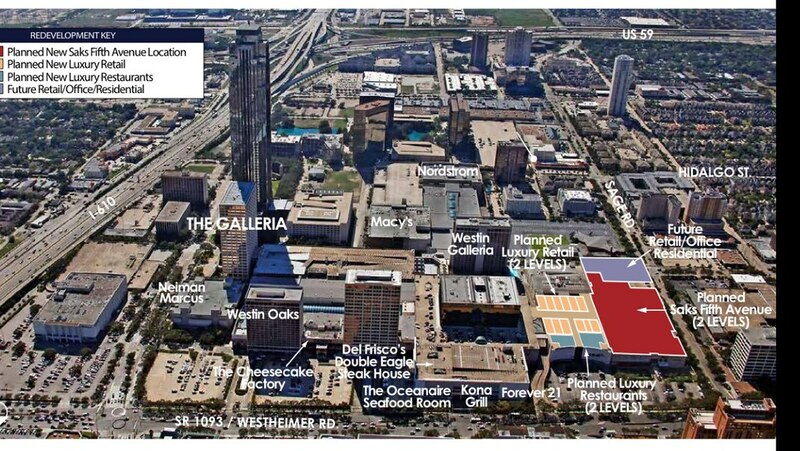 The Galleria covers 2.2 million square feet and includes about 400 stores and restaurants, two hotels and three office towers. 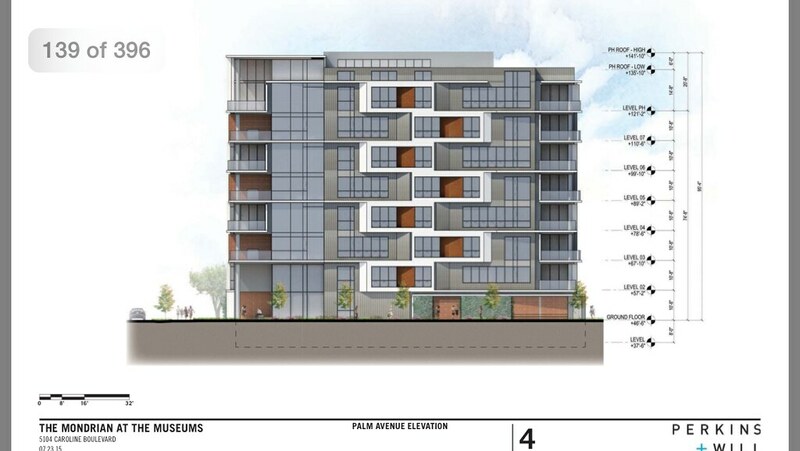 It may soon get a residential component. 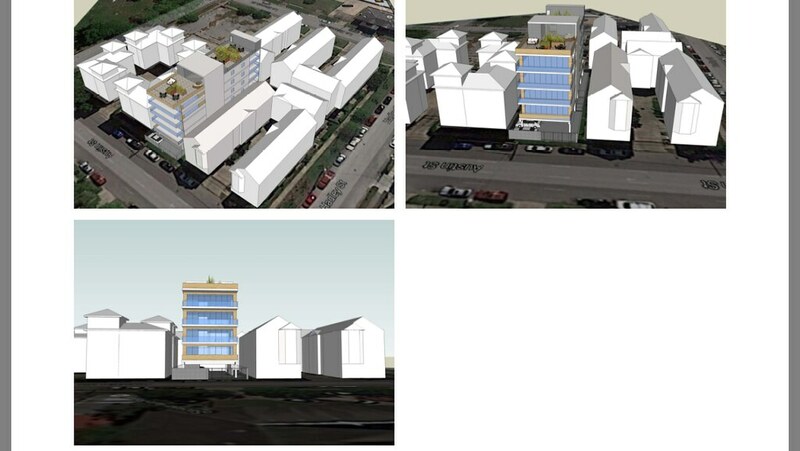 Contis said a 300-unit residential high-rise - with an outdoor pool and an indoor connection to the Galleria - is envisioned for the corner of West Alabama and Sage. Bookmark the link in red. 2) Anytime you need to access it, just press the bookmark and do the steps below in "blue". B) Type in keyword (Project name or just a part of it; helps if you forget the name. Even if you don't know the full name, doing these steps allows for quick access. C) Press enter, and you will see words highlighted. Keep pressing enter until you find it. D) Doing so will allow quick access, and its much better than wondering where a certain thread is in the sub forum pages. This eliminates not being able to find threads or saves a lot of time. 1) Same steps as chrome. Bookmark it, and you can even save the link on your desktop. Note: The same thing could be done with the NYC directory. Note #2: You can also just go down the link. but doing the procedure above saves time. Glad they planned this along Sage Rd, as it is pretty underrated walkable street. *The building will be expanded by two floors (with each being a penthouse suite). Last September, Arel Capital purchased The River Oaks Luxury Apartments, an iconic, mid-century building located at 3433 Westheimer Road, near Claremont Lane and St. John’s School. The New York-based real estate investment and development firm will redevelop the Miesian-style building, designed by Houston architect Cameron Fairchild, into an 18-story, 78-unit condominium project called The River Oaks. We have dozens of smaller urban projects in the central neighborhoods, but none are over 10 floors. You can see a map with renderings and additional information on all those here. 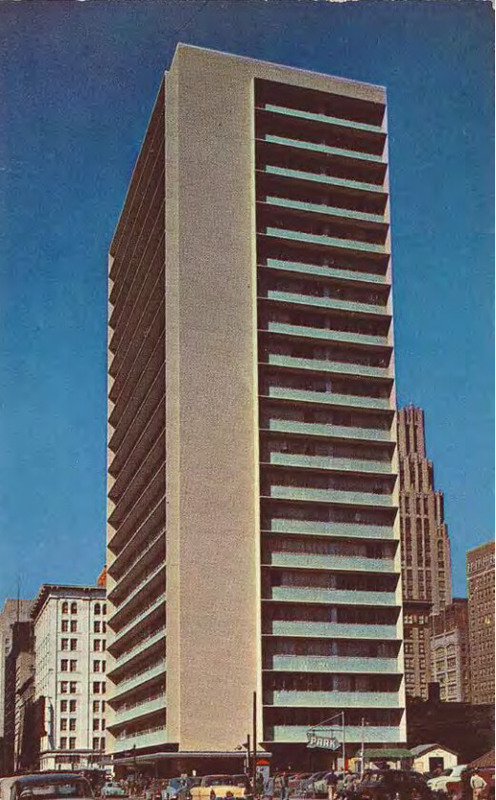 Plans call for a conversion of this 1950's office building into a 255-room Le Meridien Hotel with a street level restaurant and rooftop amenity space featuring a pool and bar. The vacant building is located @1121 Walker St. in downtown Houston. The exterior will be restored to its original look by receiving new windows and bricks will be repointed/cleaned. Last edited by Urbannizer; Aug 16, 2015 at 11:39 PM. Midtown Houston revels in this idea. The area is deep in the midst of an urban resurgence. Business is booming and a crop of new developments in the area is encouraging a swift pace of growth. The Midtown Arts and Theater Center (MATCH) is one of the most buzzed about new projects in the area. 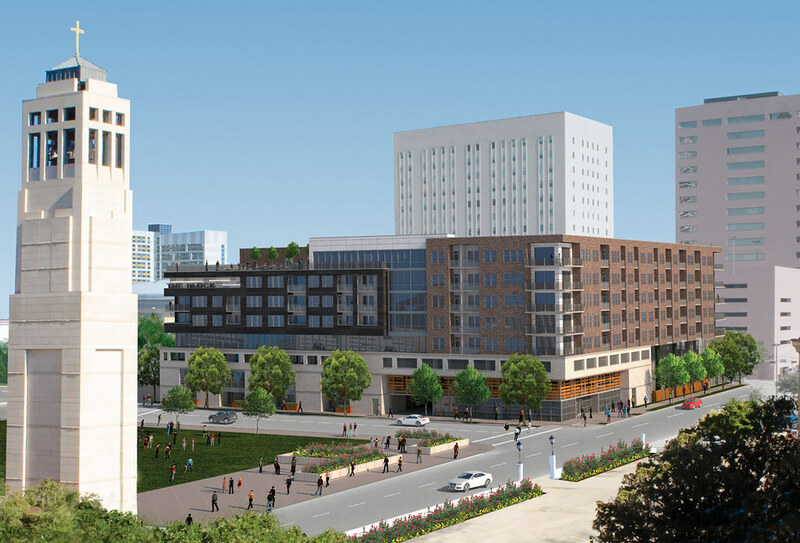 3300 Main, a proposed 400-unit residential tower next to MATCH, would complement this arts center and create a focal point for this low-density neighborhood. Chris Sims, a custom home builder based in Sugar Land, is planning the new building on a tree-lined street behind Uptown Park, a high-end shopping destination off the West Loop near Post Oak Boulevard. The new building will be called Aurora and will hold 40 units, most of which will be priced between $2 million and $2.6 million. The units will range from 3,400 to 4,000 square feet. Four two-story penthouses as large as 6,400 square feet will be priced in the $4 million to $5 million range. 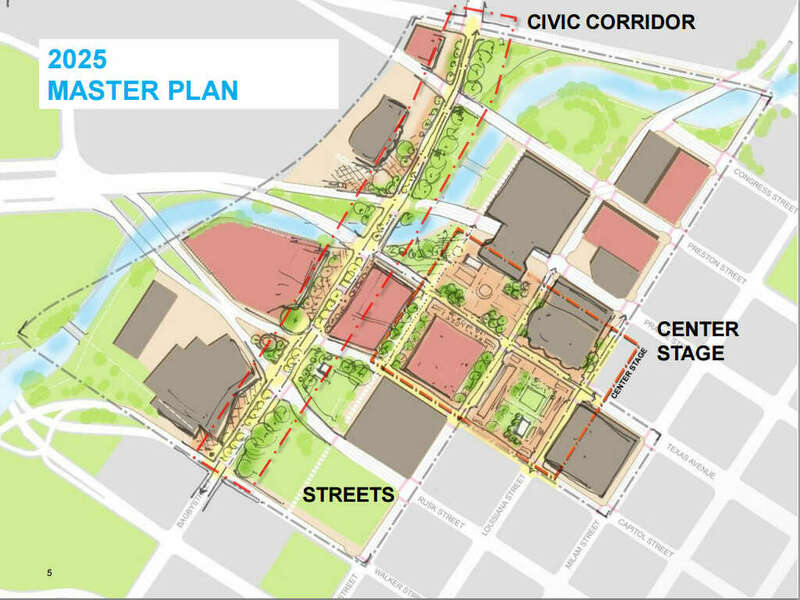 the city's tourism arm is proposing to transform the 17-block area that includes the Alley Theatre, Jones Hall, Hobby Center and the Wortham Theater Center over the next decade into a vibrant urban hub where inviting green space with surrounding cafes and restaurants allow patrons to wait out the grueling traffic with post-performance drinks or late-night snacks. Colorful lights and projections would flash across the monolithic exterior walls of the theater buildings. It would be a place for festivals, outside performances and interactive art installations. 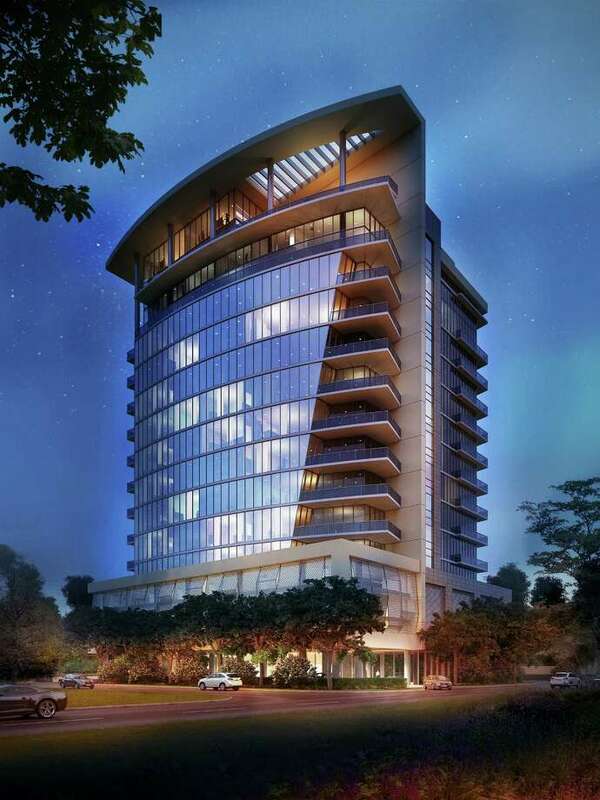 Riva at the Park, located at 3331 D’Amico St. near Allen Parkway and Dunlavy Street, will be a 10-story, 29-unit high-rise overlooking Buffalo Bayou Park, one mile west of the downtown Central Business District. 255 rooms and street level restaurant. The new 3.4-acre site, adjacent to River Oaks District and located at the northwest corner of Westcreek Lane and Westheimer, will be developed as part of Phase II of River Oaks District. The 455,000 square-foot expansion will complement the existing site and the greater Houston-area with 190,000 square feet of state-of the-art office space; 150,000 square feet devoted to a luxury hotel; 90,000 square feet of contemporary residential space; and 25,000 square feet of best-in-class and bespoke retail. 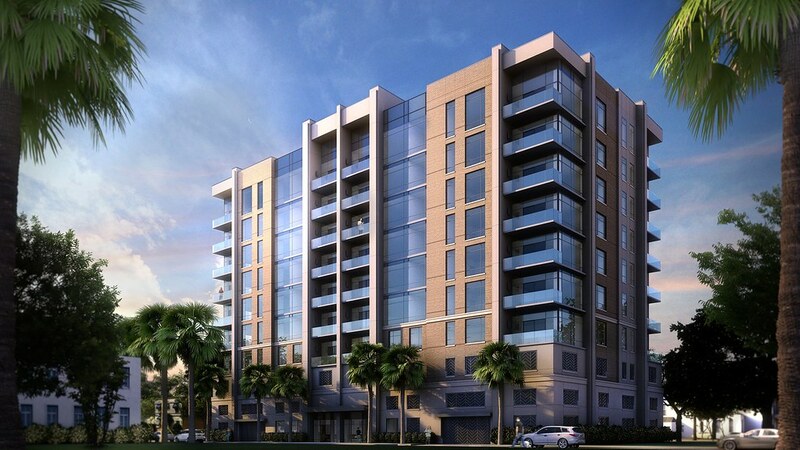 Pelican Builders Inc. has scheduled a groundbreaking ceremony Aug. 4 on The Wilshire, a 17-story, 96-unit Class A condo tower on the site of the former Westcreek apartment complex between Westheimer Road and San Felipe Street. The high-rise project at 2049 Westcreek Lane will be a short walking distance from the River Oaks District, a luxury mixed-use complex featuring 252,000 square feet of ultra high-end retail, restaurants, cafes and amenities under construction. 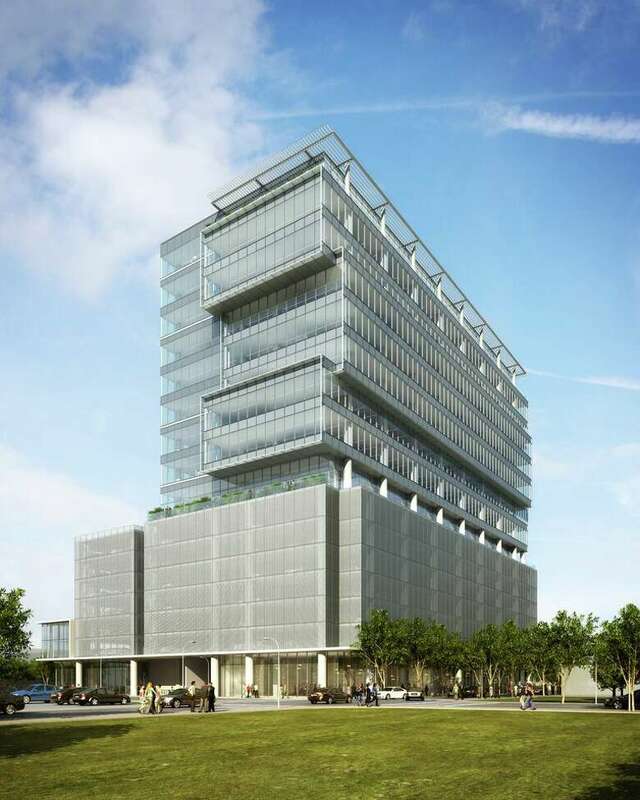 The Gensler architecture firm has designed a building for Senterra's site with 250,000 square feet of office space in nine floors above seven levels of parking. The structure will allow for six corner offices. 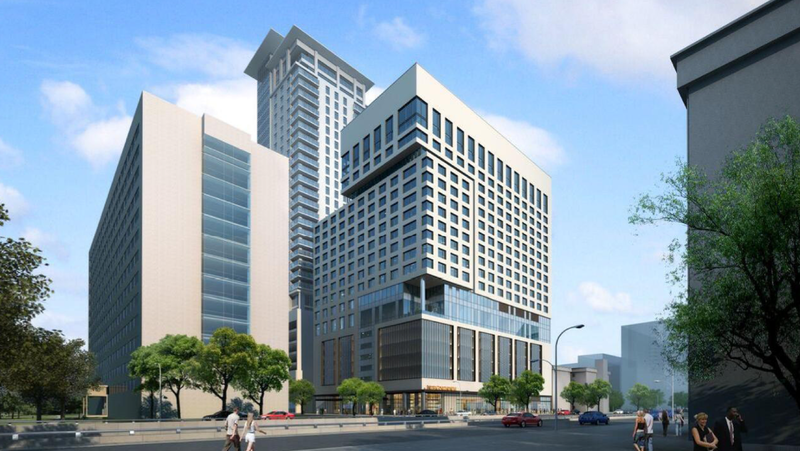 Terraces will face Anita, Louisiana and Milam on the building's eighth and 16th floors. Last edited by chris08876; Aug 17, 2015 at 2:17 PM.